And maybe even tie it in with the latest scolding of the District over setting Twain and Harper Lee on the library shelves. and about the School Board meeting last night at which no DNT reporter bothered to show up. But first I need a nap and to study my French. My children and my wife make sport over me whenever I began talking about natural phenomena. They all call out “glaciers!” when I get going. That’s because I got overly enthusiastic once when my kids were little explaining how even now, ten thousand years after the mile thick glaciers retreated under the sun the ground in Minnesota continues to recoil upward. Its just like a mattress after a sleeper leaves the bed. Its only a very little annual recoil, but still. 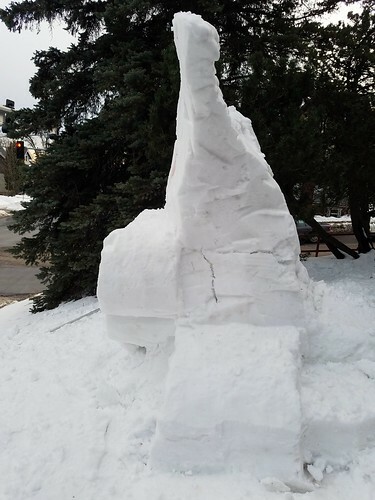 Gravity is having the opposite effect on my snow sculpture outline map of Minnesota. In concert with the sun it is pulling it down and making it squatter. I wouldn’t mind that so much but because I undermined the area under the Olympic rings it began a slow topple towards the hill below it. The picture in the last post from last night was taken after I was satisfied with its appearance. Half an hour later I looked out my front window to check on what seemed a dicey situation and discovered a fist-wide crevice half way up the sculpture where Minnesota was about to break at about Hinckley’s latitude. 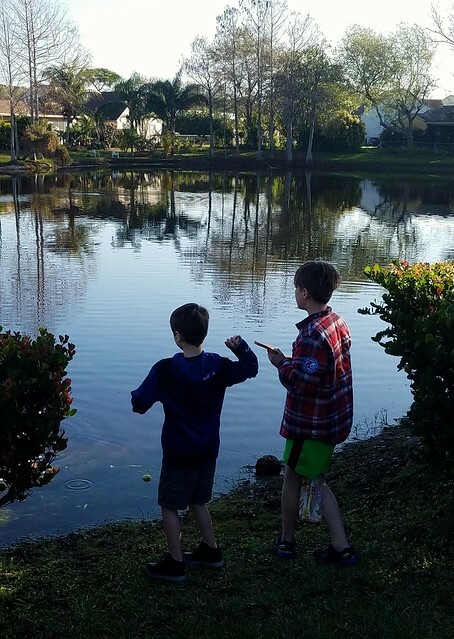 Instead of joining my wife to pick up our grandsons from school I raced out to prevent a disaster like California’s sliding into the Pacific. Before I could pause to take the picture above I first shaved off much of the snow in the top front of Minnesota removing it five or six inches deep to take the weight off below. Then I replaced snow under the rings to give the lower sculpture firmer support. Then I punched holes in the back where the rift had opened up and shoved more snow inside so that there would be less of a void along the back of the sculpture. If it is I’ll just put it in the blog. This morning I scooped up some snow, put it in a plastic bin and took it to my basement to warm up. I also dug out the offending red blob and tossed it under my spruce tree. I used the melted snow to fill in the crater. I think the chances that Minnesota will last one more day have improved to 50/50. I wasn’t sure it would last overnight but it did with some new narrower crevices still visible this morning. The colder evening temps have stabilized it a little. I’ve confessed before that I don’t mind the attention that my snow sculptures generate any more than an actor opposes applause. The loss of the Reader front cover has been made up for by Facebook. The preceding post is essentially what I put in Facebook 18 hours ago. Since that time it has gotten over 500 “shares.” I don’t recall getting 10 or 20 for any previous post. 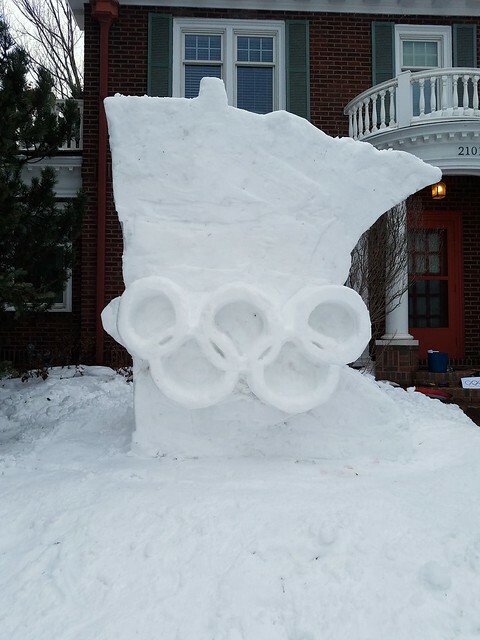 Its a felicitous sculpture on a subject dear to the hearts of any Minnesotan – our Olympic representatives. I suspect their success helps make up for the blowout loss the Vikes suffered in the Conference Championship before the Superbowl. I’m enjoying my moment in the sun too; more so than my sculpture which will soon melt away. I encourage you to help fund John Ramos who (as of this posting)is one hundred dollars short of his goal of $3600 which he is asking for to continue reporting in the Duluth Reader. And furthermore – if he’s already crossed that border I’d suggest you donate anyway. Lending weight to this plea is this story from Florida of a man who finds himself taking his city to the Supreme Court over their Loren Martell moment. Loren wasn’t actually hauled to jail but my long standing beef with the editors of the Trib still stands. They are too cozy with the ruling powers of this city. Heck, their neo-con owners failed to warn against dictator wannabe Donald Trump in their 2016 endorsements. And when it came time to defend a vocal politician’s speech the Trib’s editors could only ask Art Johnston to resign and stop bothering the Board majority when the administration conspired to ruin Art’s reputation with vile accusations. Our defenders of the First Amendment took a siesta. I don’t agree with Mr. Ramos on everything. He’s reported the greased wheels behind the development of a kayak center in Western Duluth but I’m inclined to agree with the city councilors who made this recent case for funding it. Here is a little more transparency. Bob Boone is not thrilled by Mr. Ramos’s Go fund me site and John is not thrilled by the modest payments that Mr. Boone is able to offer him. Bob worries that his other writers might follow John’s example. I doubt that this will happen but can understand his concern. Even so I plunked a modest $100 into the fund myself. Its a fraction of the modest wages that the Trib pays its reporters who scrupulously refrain from commenting as openly about what they consider to be the ridiculous things elected officials say and do unlike John. I hope Boone and Ramos set their differences aside. I hope Loren returns to his reporting. I have no say over either situation. I can however direct you to Art Johnston’s trashing of the local DFL. A friend sent me this link to it in the Zenith News, yet another alternative publication. My friend thought Art sounded bitter. I agree and yet I enjoyed his mostly accurate evaluation of how the DFL runs Duluth. As for my own writing. I’d love to be compensated. It would give me the illusion of writing something worthwhile but I don’t need it and don’t plan any Go fund me campaigns. If nothing else in the Age of Trump writing helps me keep my sanity. As for one of the “former” education reporters at the Trib. I notice that once again today she has a piece on the local schools although not the school board. And about arming teachers……I unconditionally agree with the teachers. Donald Trump’s talk of arming them is asinine. Its a complete surrender to panic. 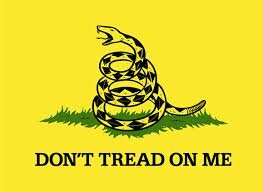 American public schools….the next Guantanamo Prison. Our government should warn Americans from traveling to any nation in Europe. And yes I know. The title for this post mostly serves to add gas to the fire. I am very pleased by the success of the new Black Panther movie. My littlest grandson, as white as he can be, has been salivating to see this movie for a month. Maybe we will take him to see it while we are in Florida this week. For struggling minority kids this will be even bigger. The Panther, not poor suicidal Tom from To Kill a Mockingbird, will give them a much bigger lift. It reminds me of Shaft in the 1970’s who gave black Americans their first ever big bucks celluloid hero. That movie spawned the blaxploitation Era of movies with black supermen. Shaft was the brainchild of Minnesota’s own Gordon Parks whose book a Choice of Weapons I suggested as an alternative to Mockingbird. After years of Step’n Fetchits in our movies Parks knew that Black America needed to see much stronger role models. In the Era of Obama it’s not so critical but it’s still necessary. Here’s a quick read from NPR. We’ve come to Florida’s Atlantic coast with the King of Stereotyping our golfing President. And due, I guess, to the Parkland massacre he’s breaking stereotype and isn’t out on his greens. But this and other stories – the latest school massacres, years of Russian political meddling, the latest embarrassment for evangelicals who pronounced that Donald Trump is God’s instrument on Earth – can wait. We are taking our grandsons to Florida north of the massacre. I’m not taking my computer but there is always the chance I might hazard a post on my cell phone. Or not. About that guy who pulled black men off of Italian prostitutes……I’m composing a bit of a tribute to him for a more balanced picture. I’ll post it later today. But first, I want to practice my French on Duolingo. Be advised, I spell out the “N” word in the following column – four times! Don’t worry. I’m sure the defenders of Harper Lee and Mark Twain won’t mind. For the second time in the last couple of weeks Linda Grover (a fellow columnist) tackles the same subject I have. Her’s is a more measured response whereas mine is a pissed off reaction to some national finger pointing at Duluth’s prissy, parochial, sensitivities as imagined by a bunch of smug, know-it-all elitists. The one thing both columns share is an awareness of what its like to have your race made a subject of scorn in a classroom. Linda Grover, a proud Ojibwa Indian, recalls Twain’s “Injun Joe” as being a pretty hard pill to swallow. I’ll bet Sammy would have felt the same way. Sammy was an Osage Indian kid in my sixth grade class. After hearing the author of Killers of the Flower Moon on NPR last year I have added the book to my reading list. I can’t help but wonder if Sammy’s grandparents were murdered for their mineral rights too. Solving the murders is what made today’s Federal Bureau of Investigation. 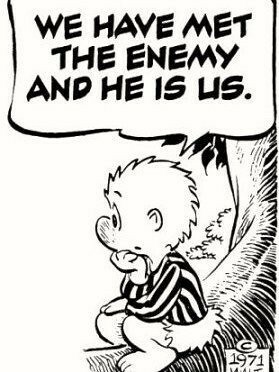 Ironically, today President Trump is trying to kill the FBI with the help of a lot of Republican Congressional stooges. I would ask that white readers consider what would happen if the district required a book that explains why women should be treated equally and the dangers of sexism but that did so by mentioning the c-word more than 60 times. I don’t think we would be surprised to find out our female population was offended. So why does the n-word — when used to that same degree — get a pass? Atticus said, “You never really understand a person until you consider things from his point of view … until you climb into his skin and walk around in it.” I think this is what we need to do because my worry here in this debate is not that we are being Atticus. I worry that we might be Atticus’ Maycomb, Ala. But that will be for later today before the Duluth Reader’s submission deadline. For now I want to keep practicing my French. I’ve averaged about thirty minutes a day of practicing the language for two months. I hope to be semi-conversant before I arrange a visit to France in September on 100th anniversary of end of World War I. I’ve also begun a self-directed course of French History reading. I’m holding off on writing more about my Grandfather for the time being but that too involves the issue of the integration of black American’s into the life of the Nation. And I’ve got another trip planned this time with grandchildren. And I have three days of church activities ahead of me before my departure including an Ash Wednesday Service, a choir practice, a men’s group meeting, a pancake flipping dinner and the church building and grounds committee meeting. Pretty busy week for an agnostic like me. The blog may suffer as a result of my other preoccupations but I don’t plan to.